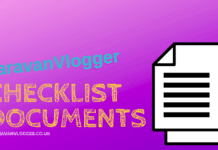 With so many things to remember a caravan checklist is an ideal way of making sure you remember everything. 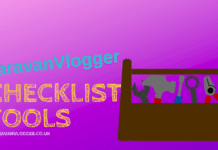 It’s not just having a caravan checklist for the internal stuff, like food and toiletries, there’s a whole load of stuff you actually need to check before you hitch up and pull away. 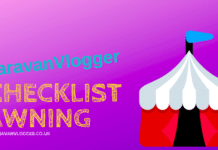 When you’re first starting out using your Caravan there’s a lot to remember and checklists really come in handy. 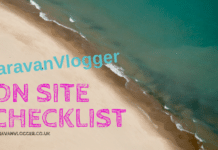 Actually, even when you’re an experienced caravanner you sometimes need a checklist, or , as we found out recently, when you change caravans there’s a whole load of stuff you need to do and take care of. Being organised is the ideal way to make a caravan trip enjoyable and stress free. Or rather more enjoyable and less stressful! 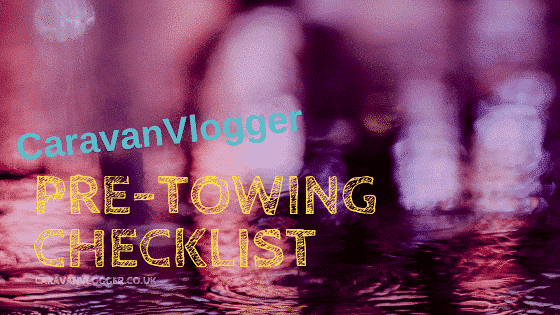 So, let’s take a deep breath and dive right into this check list, which is what you need to check before you set off towing. 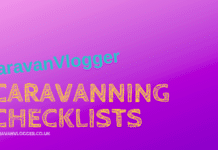 A Caravan Checklist – Pre Towing. It is recommended that blinds be opened during travel, this ensures the catches are not put under any unnecessary pressure. It sounds like an immense list of things that need doing, and in truth o course it is. But the more you do it the more you get into a routine. It’s quicker to do all your jobs, then refer to the list and check them off. Of course to start with you might work your way down the list doing each job in order. You’ll eventually perfect your own routine and undoubtably make you own lists in the order you prefer. Whatever order you do things in, make sure you allow yourself enough time. there’s nothing worse than driving down the road and realise you’ve left a window open. Or in the case of the TV aerial, or roof light window, you might not even notice.